DNR just slyly reported that Michigan hunting license sales dropped to 729,000 in 2014, a 4.2% drop from 2013 sales and the all time low in data extending way back to 1958. This drop is even worse than the numbers suggest, since the new HB 4668 hunting license rules require base licenses for hunting activities which did not require licenses in previous years. 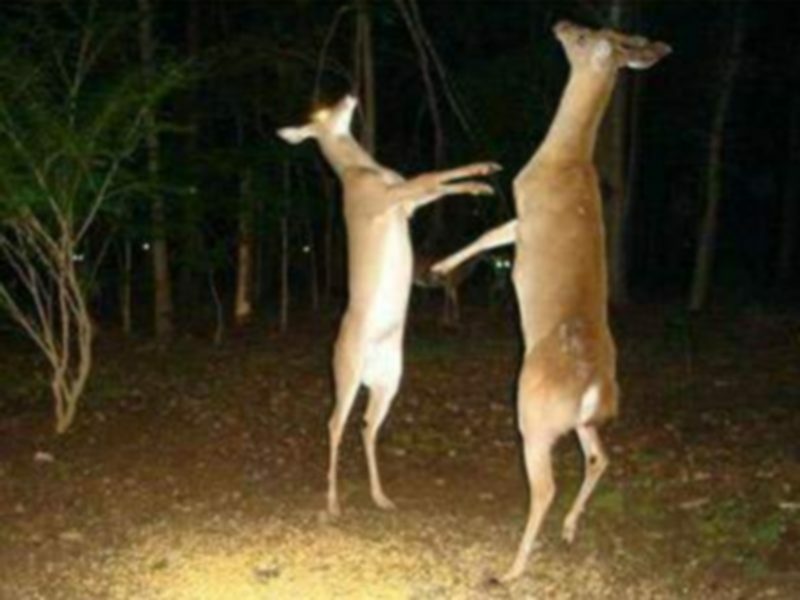 And if you believe President Obama and his statistical mathmagicians, the U.S. economy surged at a 5% GDP growth rate in 2014Q3 just before Michigan’s traditional firearms deer season. Michigan’s population increased by 11,684 people in 2014, the third consecutive annual increase. So the number of hunters should have increased in 2014? But the number of hunters in Michigan dropped, and hunter numbers declined because license fees skyrocketed under HB 4668 of 2013. The most popular hunting license prices increased 50 – 100 % under the new 2014 fee schedule, although a direct comparison is not possible because the licenses were restructured under HB 4668 to ‘simplify’ the license schedule. Even though the DNR has not released license sales dollar amounts yet, we can still sketch out the doleful effect of the DNR hunting license fee increases on Michigan’s staggering economy. Sport hunting is a $ 2.3 billion economic contributor to the Michigan economy according to Pure Michigan Travel. and, if the 4.2% decline in 2014 hunting license sales accurately reflects reduced sport hunting related expenditures, the DNR just cost the Michigan economy $ 96.6 million dollars. Pure Michigan calculates that taxable equipment sales alone are 56% of these hunting expenditures, so the State of Michigan just lost $ 3.2 million in sales tax receipts alone. Federal government Pittman-Robinson Act tax losses amount to $ 5 -10 million, depending upon how much of that equipment was taxable. Fuel taxes, hotel taxes, and income taxes all take a hit too. 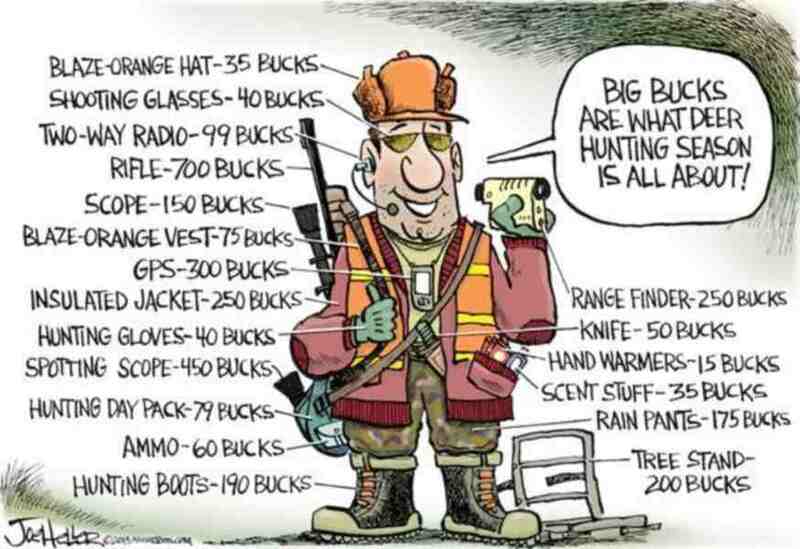 Michigan DNR has not yet reported the net effect of HB 4668 on the dollar amount of hunting license sales, so we will have to wait to see if there was any net increase in government revenues. But, as with the the HB 4668 fishing license fee increase, it is entirely likely that the DNR’s gain will wind up being nothing more than a transfer of funds from one government entity to another – with a net loss for all. Just as we pointed out with the DNR fishing license fee increases, there is a human cost as well. In 2013 (the last year for which there is USG data), The average American food service job represented $ 51,855 in GDP. The average sporting goods sales job represented $ 122,509. The average accommodation job represented $ 98,651. Pick a number, say $ 150,000 per job affected to be conservative. That $ 96.6 million loss in economic activity represents 644 lost full time equivalent jobs. And the income taxes those jobs those otherwise employed would pay. At the time HB 4668 passed, the DNR and our super CPA Governor were touting the addition of something in the vicinity of 50 jobs the license fee increases would create in the Michigan government. In actuality, Michigan residents lost over 1,400 FTE jobs when you factor in the 833 FTE jobs lost due to the coincidental fishing license fee increase. Don’t hold your breath waiting for our Nerd to hold a presser announcing the triumph of HB 4668. The good news here? 2014 was the first year where Michigan did not experience a hunting fatality. Bravo. A damn shame that it took driving hunters out of the Michigan woods to accomplish it, though. The bad news here? Taxes and their clandestine equivalent – fees – have consequences. Something to remember on May 5th when you get to vote on a hundred fold larger diversion of funds from the real economy to Lansing and their marvelously efficient prevailing wage contractors..
← Overloaded Your Asses, huh? Yep. That's my Rep., good 'ol powdered-Peter. Oh! With regard to this particular part. Michigan’s population increased by 11,684 people in 2014, the third consecutive annual increase. I know, it's all just one big "coincidence". Just ask a Jimmy Carter appointed 84-year-old SJW District Judge about that "coincidence".